Wide planks flooring, that allow you to experience fully the naturalness of wood: even large knots, cracks, and soft irregularities. Life is a new prestigious Gazzotti line dedicated to those who want an important floor, with personality and attention to details. It’s made of French oak because it is the only one able to create an interplay of colors on the raw material, 4 mm thick top layer of noble wood and 4mm of contro Placco for greatest stability. The fillings are partly flushing and partly declining, so to give a dynamic effect to the planks and a unique pleasant touch. All products are manufactured with a soft hand distressing finish. Distressing follows strictly the ancient Italian tradition that unlikely to the conventional industrial distressing, is uneven and highlights the knots, ensuring an extremely natural effect. The large or extra-large format of Life line, is distinguished by the beveling on 4 sides, with handmade dents that give a pleasantly irregular effect, according to the ancient traditions. This particular finish does not alter in any way the naturalness of the product, and makes it particularly pleasing to touch as to the view. In addition, maintenance is easy. The product is available in two sizes, Planche and Grande Planche, large and extra large, and could be supplied in two widths for a fascinating double width pose. All products Life are marked CE logo. They are conformed to UNI EN 14342 and they are in E1 class for the release of formaldehyde. All Life products are certified. They conform to standard EN 14342 and are in class E1 as per formaldehyde emission. The unique Life finish is the result of extensive research which combines ecology, durability and comfort. The finish is not perceptible, this fact keeps intact the natural look of wood. The product is extremely natural and true to view and to touch, giving us a unique pleasure. “Planche” is a plank of big size. 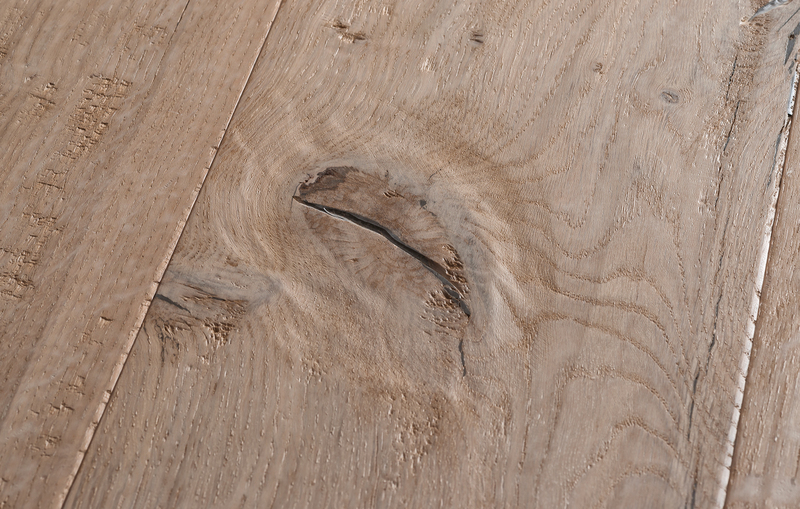 The Planche format can be combined with GrandemPlanche to obtain a laying pattern in two widths. All Life products are certified. They conform to standard EN 14342 and are in class E1 as per formaldehyde emission. Emotion: Oak Cezanne, Oak Degas, Oak Monet, Oak Renoir, Oak Pissarro, Oak Sisley, Quercia Matisse, Quercia Morisot. All floors of Life line can be laid by gluing on a heating and / or cooling floor, on pre-existing floors which must be compact and properly degreased. The Planche e Grand Planche planks could be laid on double width installation. Click here to see the available laying patterns. To see the colors and the characteristics of the wood species just mentioned and to evaluate all the Wood Species of the other lines, please click here. 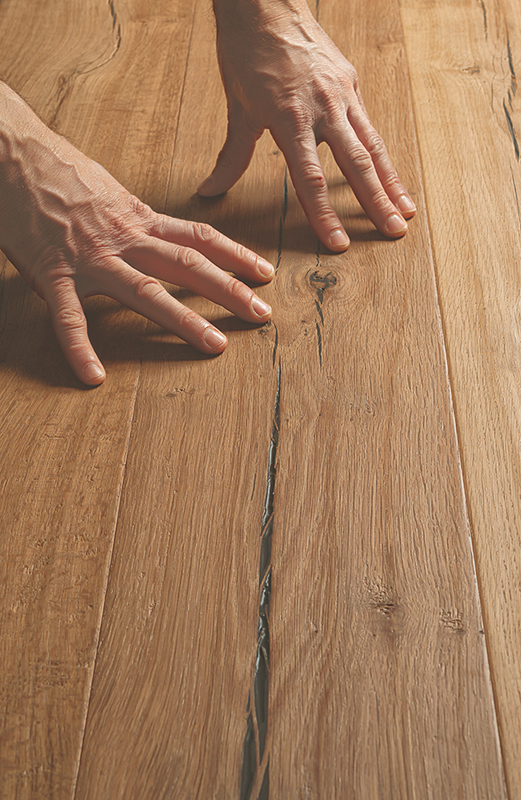 Every day maintenance of the parquet of the Vintage collection is easy and practical. It should be done with a damp wrung out cloth. Too much water or the use of steam cleaners or similar, can damage the surface finish. You can add Cleaning, Gazzotti’s neural detergent to the cleaning water. This product helps to prevent mold and bacteria and scents the air. The use of spirits, solvents, acid, bleach or scotch tape can cause irreparable damage to the finish. If the wood flooring, due to walking and wear during time, becomes opaque or in case of surface scratches, you can use Anti Age, the specific product for extraordinary maintenance. If you need to repair more profound scratches and abrasions you need to use Oil Repair, the product for small, localized repair works. For a good maintenance it is absolutely indispensable to use Gazzotti maintenance products. In case of use of other than Gazzotti maintenance products the flooring may get damaged in an irreparable way. In this case our floors are not covered by warranty. Watch our guidelines for the practical use of our maintenance products. 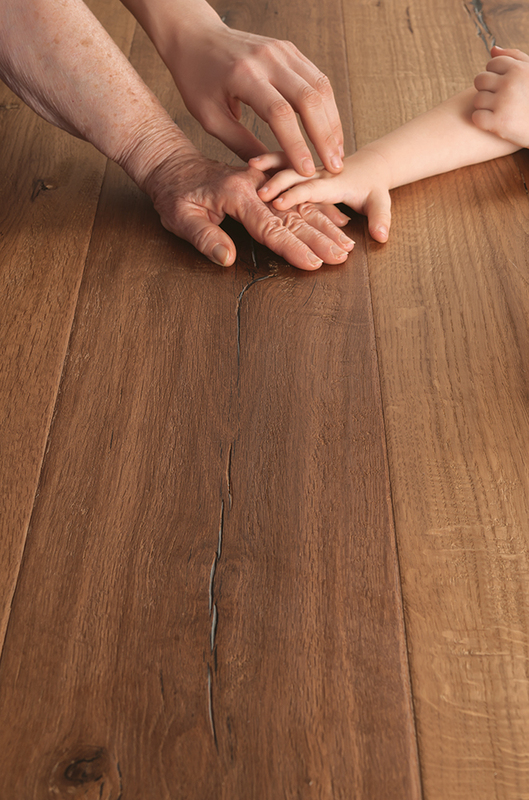 Read other suggestions for the extraordinary maintenance of your Gazzotti parquet.